– There are currently over 121,955 people waiting for an organ. – An average of 18 people will die each day waiting for an organ. – The largest group waiting is from 18-49 years of age. 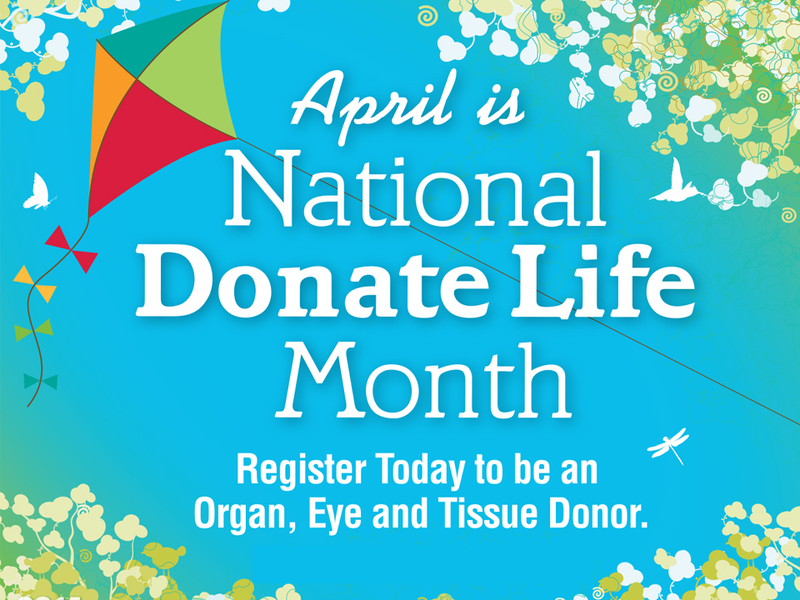 – Living donors can donate a kidney and parts of their liver, lung, pancreas, or intestine. – Living donors can be evaluated to help a friend, family member, or even donate anonymously to patients on the wait list.